C5027 Repos du brasseur. Piscine, Animaux acceptés, Salle de jeux, Joliment meublé! Cette maison est à seulement 2 pâtés de maisons de l'océan! Détendez-vous et sentez la brise au Brewer's Rest. Venez profiter du soleil dans la piscine (10 x 20) ou tirez quelques cerceaux! Faites une partie de billard dans la salle de jeux. Vous ne voulez rien dans la maison joliment et soigneusement aménagée. Situé dans la communauté de Whalehead, il est situé au cœur de la Corolla. Près des boutiques et restaurants. Brewer's Rest a beaucoup d'espace pour tout le monde pour passer des vacances reposantes. À l'extérieur: bassin pour enfants, grande piscine privée, douche extérieure et bain à remous. Niveau inférieur: 1 chambre principale avec lits jumeaux, 1 chambre avec 2 lits simples, salle de jeux avec table de billard et bar, réfrigérateur et micro-ondes, blanchisserie. Niveau intermédiaire: 3 chambres à coucher principales (2 avec accès au pont), 1 chambre avec 2 lits superposés, salle de bain complète, salon. Niveau supérieur: 1 chambre principale avec accès au pont, cuisine, grande salle, salle d'eau, terrasse. The children loved swimming in the pool daily and often used the hot tub. The pool table was also popular with them. The dining room table we used for eating, was very spacious. More about the other one later. Unfortunately, there were several areas of concern where we felt that an accurate description was lacking, or at the very least, misleading. There was absolutely NO STORAGE available for our groceries! The cupboards were overstocked with plates and one was entirely devoted to wine glasses. We actually had to clear out a couple of cupboards, temporarily, to make room for food items. Other non-perishables were merely left on the second dining table, leaving a less-than-tidy look. I was disappointed the refrigerator did not have an ice-maker feature...not too great an expectation for a beach house! The fridge, itself, was not large capacity but not too big a deal...maybe I should just state that it was acceptable. There were two bedroom bathrooms in which the toilets ran about every 15 minutes, all night long! Concerning the bedroom balconies-it might be more realistic to offer on the website that renters will be looking across the street at other houses or overgrown scrub-brush. No, we didn't pay for ocean view, but this was almost depressing, what with the unkempt property surrounding us. The walkway to the beach was in close proximity, as stated, however, it felt like a mile crossing the desert, to reach the ocean. Maybe something a bit more revealing about the long trek to the beach, once you get to the walkway, would be helpful. We had several babies in tow and it was challenging. If the rent had been less for our six nights, we certainly wouldn't have expected as much, although many things are understood to be basic. Our family did enjoy being together so it was worth it in that respect. Also, the manager provided friendly and professional customer service! The staff at the agency were very helpful and friendly. The location from the beach was amazing and the pool size was great. The only negative things I have were that the plants/weeds/grass were really long and could have been cut back and there were a lot of ants seen in some of the rooms and kitchen area. Overall we had an amazing time and made a lot of new memories. We will be sure to pass your feedback along to the owner so he can rectify your concerns for future guests. Awesome vacation. The place was exactly what we were looking for with a big crowd. 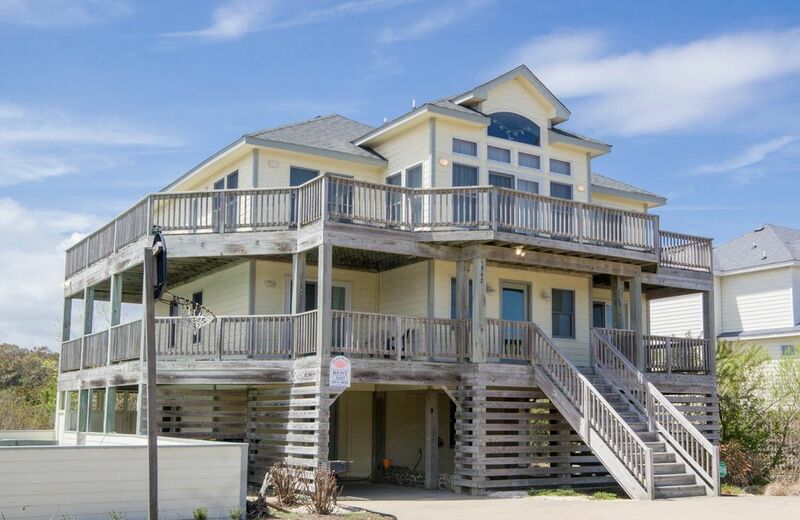 House was a great location close to the beach access and the pool and hot tub were well maintained. WiFi and cable were out almost the entire trip. We needed WiFi access for work purposes and were unable due to this issue. Called multiple times to rental agency and kept getting forwarded to a service line. Eventually did get a call back but even though we escalated the problem was not resolved by the end of our visit. Thank you for taking the time to provide us feedback regarding your recent stay at "Brewer's Rest". We regret that we were not able to solve your wifi issue, but glad you enjoyed the home. The home was lovely and we had an amazing time.